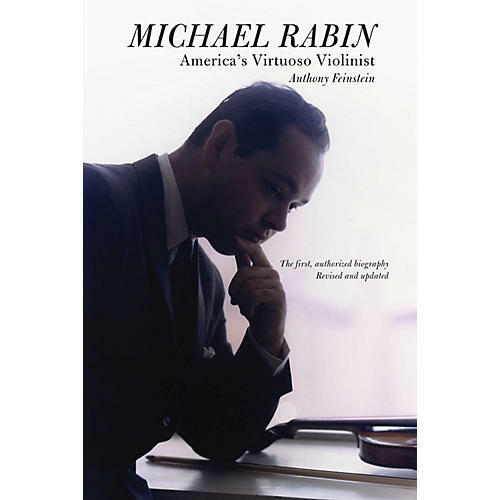 In Michael Rabin: America's Virtuoso Violinist, Anthony Feinstein tells the poignant story of the life and career of one of history's greatest violinists. As a child prodigy, Rabin had the classical music world at his feet. Notable successes included a coveted EMI contract, recording the soundtrack for an Elizabeth Taylor movie, and guest appearances on the Milton Berle Show and the Bell Telephone Hour. Yet no sooner had Rabin taken his place alongside such illustrious colleagues as Heifetz, Milstein, and Stern than he abruptly and inexplicably disappeared from the concert stage. For three years, the public saw and heard little of him. In the mid-1960s, Rabin resurfaced and painstakingly began rebuilding a once-great career. Then one morning, the music world awoke to news of his sudden, mysterious death at age 35. For the first edition of this biography, Feinstein had unprecedented access to Rabin's private papers and medical history. Now he draws on additional material obtained from recent interviews with Rabin's colleagues, girlfriends, and management. The result is an added appreciation of Rabin's remarkable family, his cloistered upbringing, and a micromanaged career that ensured not only great success but also periods of deep despair. Michael Rabin: America's Virtuoso Violinist is more than a story of a great violinist. It is also the moving account of a man of rare talent who never stopped battling to find personal happiness on that fragile journey from wunderkind to adulthood.